Thunderstorms this evening, then skies turning partly cloudy after midnight. Low 48F. Winds S at 5 to 10 mph. Chance of rain 80%..
Thunderstorms this evening, then skies turning partly cloudy after midnight. Low 48F. Winds S at 5 to 10 mph. Chance of rain 80%. BELO, W.Va. - A first grade teacher for Kermit PK-8 was killed in a two-car collision at U.S. 119 and state Route 65 around 3:30 p.m. Monday. Ashley Ferguson, 27, of Lenore was killed as she was returning from a teacher training at Mingo Central High School on a Faculty Senate Day. She was pronounced dead at the scene. The driver of the other vehicle was identified as Aaron Copley, also of Lenore, according to the West Virginia State Police Troopers. Copley suffered a severe broken leg and was transported to Pikeville Medical Center. According to the police report, Ferguson was driving a Ford Escape when she pulled out onto Corridor G and was struck by a white Chevy Silverado truck driven by Copley. A State Police traffic reconstructionist was brought in from Logan County to assist with the investigation. "Ashley Ferguson was one of the most dedicated young teachers I have encountered in my years as an administrator," said Kermit Assistant Principal Ashley White. "She loved her students as if they were her own, and she went above and beyond to ensure their needs were met each day." Ferguson had taught at Kermit for four years. "There will undoubtedly be an emptiness at Kermit PK8 in the days and weeks to come, but we will be sure to honor her memory and dedication to our school," White said. Kermit Principal Deborah Starr said Ferguson was a wonderful person who was dedicated to teaching her students. "The entire staff at Kermit PK -8 will miss her beautiful smile," Starr said. "We are mindful to see to the needs of our students and help them through this. We will have grief counselors available when they return to school. "Our prayers are with her family. They had a beautiful daughter who touched the hearts of many. We are heartbroken. We are like family at Kermit." There was no school on Tuesday due to the statewide teacher strike. The WVSP was assisted at the scene by Mingo County Sheriff Department Chief Joe Smith and the Lenore and Delbarton volunteer fire departments. 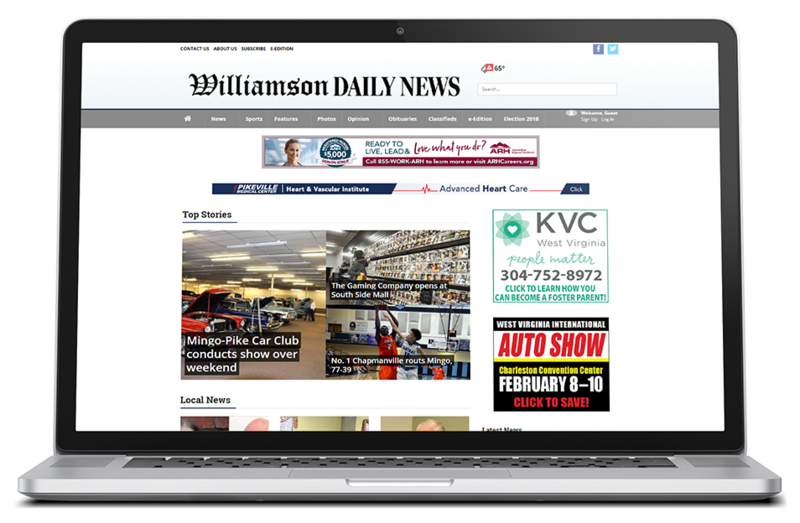 Kyle Lovern is the editor for the Williamson Daily News. He can be contacted at 304-236-3526 or via e-mail at klovern@HDMediaLLC.com.